DeBorde Restorations LLC is a local family owned and operated furniture refinishing and repair shop. 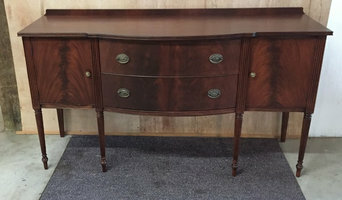 We restore fine family heirlooms to modern pieces. See our work on our DeBorde Restorations Facebook page. 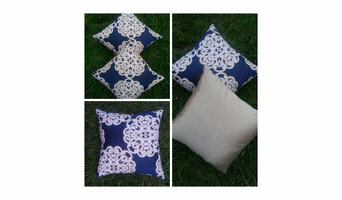 We sell fashionable fabrics and trims to fit every style and budget. We're the only locally owned fabric store selling both designer fashion fabrics such as spandex, satin, lace, faux fur and home decor (drapery and upholstery) fabrics. We carry the top brands in home decor fabrics and trims - Carole, Duralee, Kravet, Robert Allen, and many more. Shop 34 x 37 Fabrics first for your next project. The beautification of Savannah takes on a whole new meaning when we’re talking about Tailor Made Draperies. Tailor Made Draperies is located in historic Savannah, Georgia and has been doing business for over 50 years. Tailor Made Draperies was founded in 1961 by the late Mr. Carlton Parker, Sr., a Duke University graduate with a degree in Interior Design. Charles Parker oversees the management responsibilities of the plant and works extensively with designers all over the Southeast. Carlton Parker, Jr. manages the firm’s installation and custom hardware departments. Janet Kearney has been with Tailor Made Draperies for more than 30 years and excels in her design skills. She works with clients in the surrounding Georgia and South Carolina communities. Handling both residential and commercial clients keeps the team of this fine establishment busy. Each order is completed on time, to specification, and to the satisfaction of the design staff who provide quality work for each of their clients. We specialize in all custom window treatments, from shutters to sheers and everything in between. Most of our work is residential. Commercial clients include hospitals, inns, resorts, and marinas. We also work with other design firms to complete the finishing touches on custom built homes. Tailor Made Draperies. When you’re looking for quality, expertise, and meticulous attention to detail….. for a beautiful result in your home. Re-upholstery/upholstery repair includes redoing/outfitting items like chairs and sofas with springs, padding and fabric coverings. This can also include adding fringe, piping, tufting or additional decorative elements to a furniture piece. They can also advise you about the pros and cons of different fabrics so you can choose the best type for the project in your Statesboro home. Find Statesboro furniture repair professionals on Houzz. 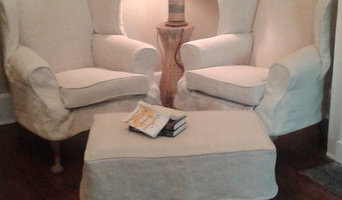 Narrow your search in the Professionals section of the website to Statesboro, GA furniture repair.